Run Jump Crawl have just finished celebrating their grand opening of their new obstacle training, group fitness, ninja training and fitness studio in Alexandria, NSW. For those that missed out the day consisted of free play for all ages and levels of fitness to test their skills on the obstacles. The day then moved on to a couple of mini challenges such as the first person to reach the top of the 14ft warped wall and the main event, a mini ninja obstacle course consisting of the monkey bars to a rope climb onto a trapeze swing to the cargo net and finally conquering the Fortress. With over 60 people competing it was an amazing day. With special guests including Scott Sheppeard (International award-winning Spartan Photographer), Season 1 competitors from Australian Ninja Warrior and Red Bull with their DJ van, the day was full of fun and excitement. Special shout out to South Dowling Sandwiches, Just Sports Alexandria and This Natural Life for their support and donation to the day. Congratulations to Patrick Teylan for taking out first place in the ninja course and scoring himself a free pair of INOV8 shoes courtesy of Barefoot Inc (the new neighbours). 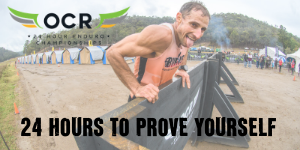 Now that the dust has settled from the move and the obstacles are ready and waiting, Run Jump Crawl is the place to train for all you Obstacle Racing and Ninja Warriors in and around Sydney. Run Jump Crawl is an obstacle based training facility with a focus on races such as Spartan, True Grit and Tough Mudder. This makes them perfect for those of you who are yet to complete your first race right through to elite racers such as Krysty Davies, who recently took out 1st solo female for True Grit Enduro 2017. Run Jump Crawl also specialise in training for the Australian Ninja Warrior with a purpose built training area that changes regularly. With over 30 classes a week to their members (which vary between strength, cardio and obstacle training as well as yoga, kid classes, birthday parties and corporate packages) it is a well rounded facility that provides many aspects to your training. Their aim is to create a community within their gym that supports and encourages each other and we can be regularly found training with our members or going for hikes and breakfast on weekends with them. Within their facility you will find signature obstacles such as warped wall, rope climb, salmon ladder, traverse wall, monkey bars and the Spartan Race Fortress. For all those keen to check out the new Run Jump Crawl facilities, the Run Jump Crawl team are offering ONE FREE WEEK to anyone who mentions the "Obstacle Racers Australia ONE FREE WEEK special".